No period in heavy metal's history is littered with more formative demos than the 1990s. Of course, many of those bands would never release another work, which, honestly, probably wasn't such a bad thing. However, two demos from New Zealand bands from the era would prove hugely influential in shaping the nation’s extreme metal framework. The doom/death slaughterhouse of Sinistrous Diabolus's 1993 demo Opus One was a seminal NZ metal release, and the band's full-length debut, Total Doom//Desecration, was recently covered right here on Metal Bandcamp. However, Vassafor's 1997 Demo I also made a similarly long-term impression on New Zealand extreme metal. Not only did the demo contribute to sketching out the initial template for the nation's rawest extreme metal, but subsequent releases from Vassafor have drawn in wider elements of doom and death metal, and the band's influence in the global extreme metal underground has spread accordingly. Vassafor is fronted by multi-instrumentalist and vocalist VK (aka Phil Kusabs), and while the band have released a series of demos and EPs since their 90s formation, Vassafor's debut full-length, Obsidian Codex, wasn't released until 2012 (2013 on Bandcamp). VK was busy in the meantime, playing in bands such as Diocletian and Ulcerate, but what Vassafor are most (in)famous for is taking inspiration from the iniquitous work of first-wave black metal acts such as Bathory and binding that to a sense of rite and practice. For Vassafor, there can be no music without accompanying ritual. Released on Parasitic Records, Obsidian Codex is proof of the band's ceremonial intent. The double album is a sacramental onslaught of pitch-black doom distortions, frenzied tremolo pickings, and occult-drenched themes. Over its 90-minute-plus running time, Vassafor take you on a journey over infernal topography, where songs bleed into one another, and bone-rattling moments of trepidation are hypnotic and suffocating. VK and drummer BP slather on the direful atmospherics, tempos shift from creeping to crushing, melodies arise to be carved up and buried, and the songwriting is masterful and merciless. Some albums are simply made to test your will. Obsidian Codex is definitely one of those, and it easily falls into the camp of best albums you may well have never heard. Tracks such as the 12-minute "Obsidian King", 16-minute "Archeonaut's Return" and the 23-minute soul-crushing "Nemesis" are all lengthy trawls through the netherworld of grinding and impenetrable black and doom metal--Vassafor are hellbent on straining the mind to breaking point. Heavy on the second-wave inhuman growls, and laden with dark revelations, "Sunya (Void Paradox)", "Abysmal Herald of Desolation" and "Makutu (Condemned to Deepest Depths)" are churning screeds of black-hearted intent, backed by a solid wall of viscous noise. The production on the album will be familiar to fans of Diocletian, Antediluvian, or the brethren gathered on labels such as Nuclear War Now! and Dark Descent. It's clotted, murky and infectious, yet clear enough to appreciate the nuance within, and much like works from Witchrist or Teitanblood, Obsidian Codex is an unrestrained war on divinity writ large. It's a mammoth piece of very dark art, both in terms of its actual running time, and the sheer weight of the enmity within. Everything, from its dense production to musical execution and aesthetic vision, is presented with an extraordinary degree of focus-- something that never drops one iota over Obsidian Codex's lengthy running time. For those inclined to seek Vassafor out, Obsidian Codex isn't the only work the band has available on Bandcamp. A raw and bloodied live broadcast recorded in February 2013 on San Francisco's KFJC radio station is available for a name-your-price fee, and label Dark Descent also released the powerful Elegy of the Archeonaut compilation in 2012--collecting unreleased rehearsals, as well as studio recordings. 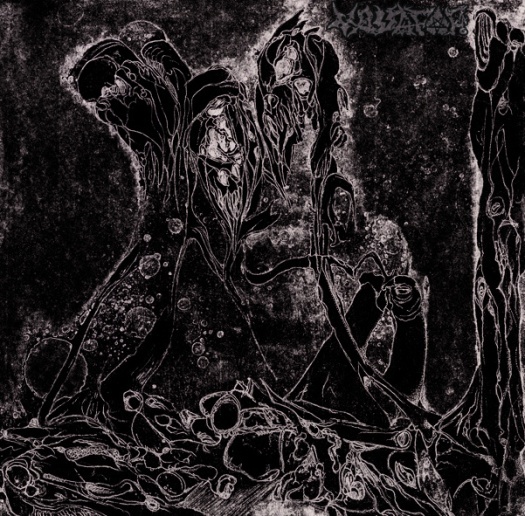 For close to two decades, Vassafor have been paying worship to tenebrous energies, and the reward for fans on Obsidian Codex is a monumental avalanche of audio violence and black-hearted, overpowering horror. The entire album is a work of vision, tracks working together to form a composite, singular whole. Of course, that doesn't stop you enjoying tracks on their own, but if you want the full efficacious effect, set aside time in a dark room to listen--and then set aside another hour to recover. Obsidian Codex is corruption, ruination and sacrilege incarnate, and really, at this end of days, what more could you possibly want?